To mark its 40th Theater Season, GANTIMPALA THEATER FOUNDATION once again is staging the classic production of Jose Riza's known novel " Noli Me Tangere. " The late Tony Espejo was Gantimpala's artistic director when the play was originally produced in 1979. Staged countless times, the play became a musical in 2015 presented during its 35th season, was considered the longest running play in Philippine theater history and now foundation's longest running play. 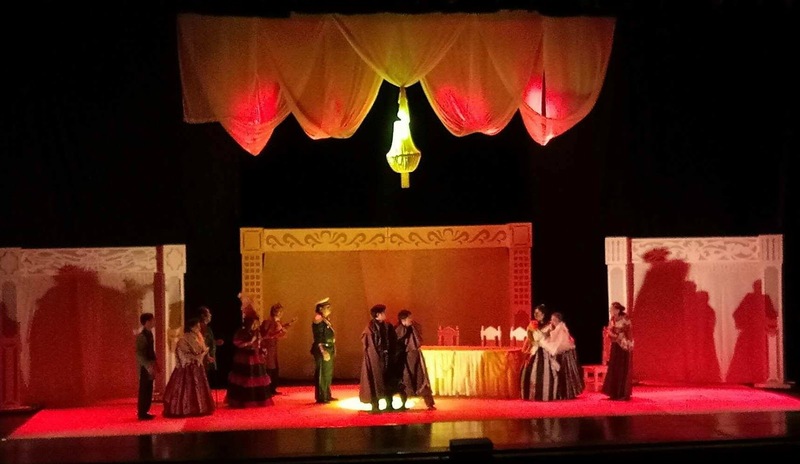 Retitled as " Kanser: Noli Me Tangere, " it was directed by Franniel Zamora, with libretto written by Jomar Fleras and music by Jesse Lucas and Jed Balsamo. The rebirth of this musical piece based from the novel of country's National Hero is a living proof and reminder that cancer is still a disease in today's status quo, another satirical and seditious musical. 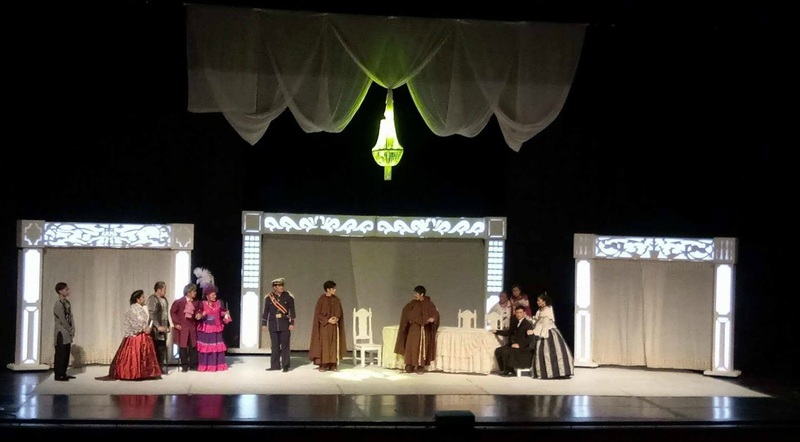 Kanser's current production is very timely to the millennials as it tackles, exposes and reveals the scene during the Spanish era, through Ibarra, Clara and Damaso, a historical symbolism, a cancer revival in Philippine political arena. Contrary from other reviews, Kanser is not a full length musical, dialogues and confrontations were not interpreted through songs but through lines. I don't find it a bit off though because a full length musical still has lines but not as frequently as what I saw in Kanser. The set design by Joey de Guzman and light design by Joseph Matheu played an integral part and huge realization for this period play. 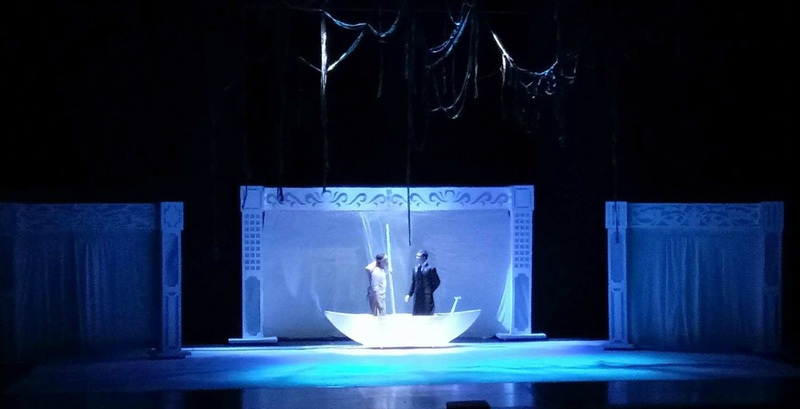 The traditional used of silhouettes and conventional projected sceneries was a pro, combined and complemented by curtain set, minimal set and permanent set through gripping, rolling and flying. The entire cast made a good performance but high regards goes to Paul Jake Paule who played the brave and heroic Elias whom I regularly see either as an actor or a director. The highlight of this musical in two acts with 10 minute intermission is the scene of Sisa, very moving and touching, a mother's love indeed. A play worth watching and recommended to the millenials. You may reach GANTIMPALA Marketing Office at 998-5622, 872-0261 and 0921-2513733. Email gantimpalatheatermarketing@yahoo.com for ticket inquiries and reservations. Presented by FullHouse Asia Production Studios Inc., Kanser runs on: September 15, 2017 at SM Southmall Cinema 3 (11am and 2pm) September 29 - 30, 2015 at AFP Theater Camp Aguinaldo (9am, 12pm and 3pm) October 6, 2017 at SM Manila Cinema 9 ( 9am, 12pm and 3pm) October 13, 2017 SM Southmall Cinema 3 (11am and 2pm).